The above photo is the official Skoda Superb 2016 sketch which we have got. 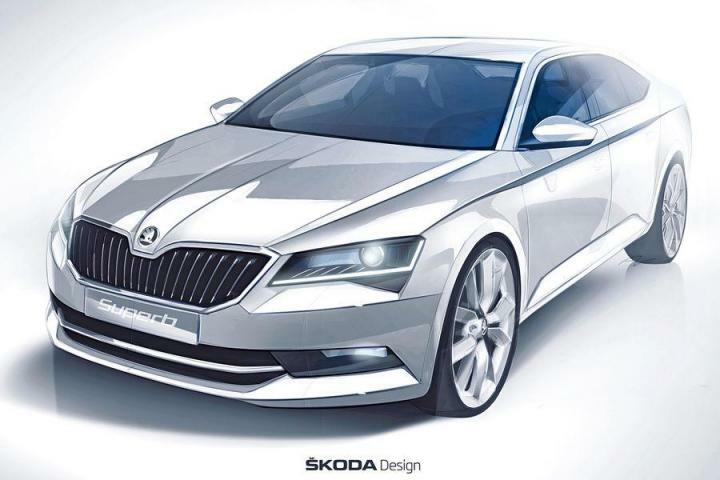 Volkswagen Group’s Skoda is getting ready with its next generation 2016 Skoda Superb. When you compare 2016 Skoda Superb with the existing model , the 2016 model is more spacious ( in reference to sketch ). Skoda Super 2016 would be first revealed at Prague in early 2015. Skoda has confirmed that Superb 2016 is undergoing final stages of testing. Mirror Link Technology – which enables streaming apps from smartphone to car infotainment display. Wireless charging technology for phones. Expect this car in India in the year 2016. Stay tuned with us for regular GaadiKey updates.